Content from secure external websites can be embedded in Bridge courses using the Embedly integration. Embedly supports hundreds of websites, called content providers, and a wide variety of them are compatible with the Bridge authoring tool. Note: Bridge does not support all Embedly content providers at this time. 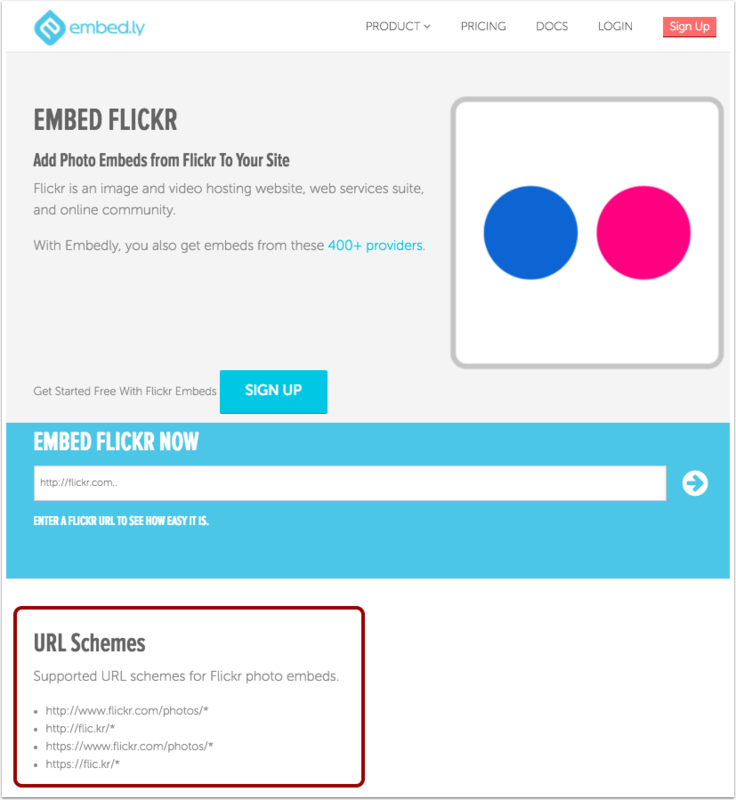 Note: Google Drive is not specifically listed as a content provider on Embed.ly. The URL protocol for Google Drive is provided in the list below. Previous Topic:How do I embed content in Bridge? Next Topic:How do I archive a course? Table of Contents > Manage Courses > What content can be embedded in Bridge?